An outpour of worship and praise filled the atmosphere. It was a moment of overwhelming experience as the congregants danced and sang to the glory of God confessing that Jesus is Lord. Prophet T.B. Joshua, through God’s wisdom, rendered a sermon titled: Believe And Be Filled With The Holy Spirit. Several proof texts were given to dwell more on the title – John 7:37-39, James 2:14-end, John 16:12-end, John 14:15-end to mention but a few. Introducing the sermon, he asked the congregation a question, “How can we believe in order to be filled by the Holy Spirit? That is the question we need to ask ourselves. 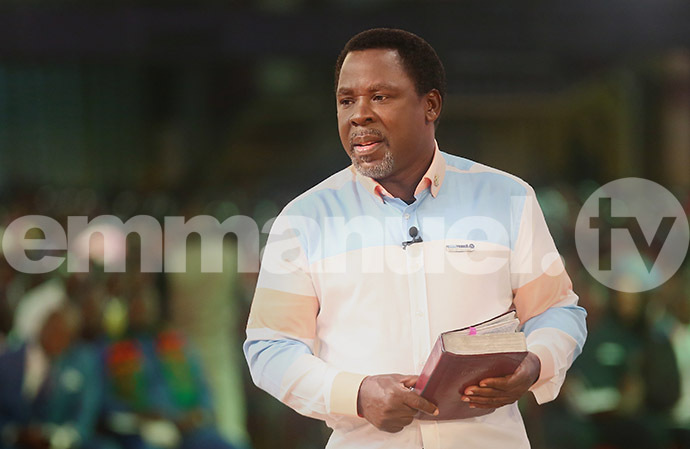 Without being filled, you cannot live right and you cannot obey the written Word. When you do not obey the written Word, you quench Him. Without being filled, it is like you are without a Helper”. Prophet T.B. Joshua brought to our awareness that, “Many Christians do not know how to believe and express their faith. There is power in our mouth. The belief in our heart is released by faith, out of our mouth. Faith is expressed through work. By this work, faith is perfected. Faith without work is dead”. Speaking further on belief, he gave a practical example of the demonstration of the faith by many today, using an umbrella. He said, “After praying, you believe it is not going to rain and at the same time, you carry an umbrella along. What is that umbrella for? This puts your faith to question. This nullifies your faith. This is a form of unbelief. Inconsistency of your belief makes you to carry an umbrella – in case it rains. In case it does not rain. This means, our heart is uneasy and restless. That is why we carry an umbrella. This shows that we have not yet believed. Conclusively, he stated that, “Prayer of faith must be followed by an absolute trust in God that He is now working out the answer”. A Canadian, Mrs Shorna Abrahams had to live with the problem of sleep apnea for eight uncomfortable years and she dared not sleep without using the CPAP machine. Describing this situation as a life sentence, Mrs Abrahams explained that going to bed without the use of the machine could result to death in her sleep. It was a pathetic situation indeed. Her case was compounded with the sudden rise in her blood pressure causing headaches and other health issues. 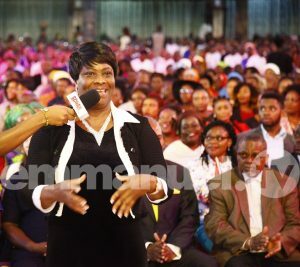 Having gone far and wide for a solution all to no avail, Mrs Shorna came to The SCOAN to seek for God’s intervention and her health was restored. “I can breathe freely without the machine!” she testified during the Sunday Live Service. Now free from health challenges, she advised all with medical problems to go to Jesus for a permanent solution. Mr Andrew Chukwu battled with a stiff neck problem for more than a year with no solution. The excruciating pain he experienced daily affected his life severely. 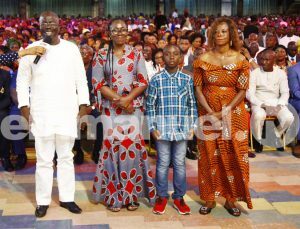 He and his wife who was a medical doctor visited various health centers for a way out but the doctors would prescribe various relieving drugs for Mr Andrew to use yet, the pain remained. Finally, they recommended a neck collar to reduce the pain he felt but it only grew worse. 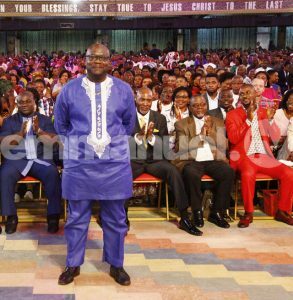 After watching the miracles that took place on Emmanuel TV, he decided to come to The SCOAN. Prophet T.B. Joshua prayed for him in Jesus name and all the pain and numbness he had been experiencing disappeared. His wife added that the problem of her husband gave the family inexplicable torture. A lot of money was spent on drugs for more than a year as Mr Andrew had to live on drugs daily. 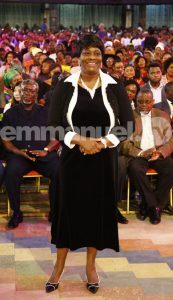 She testified that after the prayer from the man of God, Prophet T.B. Joshua, he no longer lives on drugs and the pain is gone. Mr Andrew advised all to be steadfast in God and put their trust in Him. Mrs Anna Cleland Boldt, a Ghanaian, was a victim of a stiff neck for 18 years. One could imagine the torture it brought her. Her job suffered a great deal as she was advised to sit at home to prevent her situation from getting worse. At the hospital, she was asked to use a lumbar corset and neck collar to support her body movement. Walking a distance was quite strenuous for her due to the neck pain she experienced. The family was also affected as her children grew up taking care of their mother instead of the other way round. “I couldn’t do anything without the help of my family”, she said. 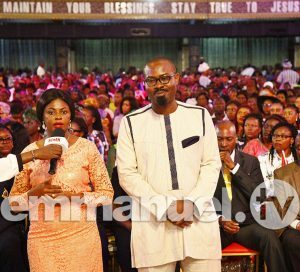 After watching miracles performed on the Emmanuel TV, she knew her solution had come. Taking the next flight to Nigeria, she headed straight for The SCOAN. As Prophet T.B. Joshua prayed for her, she felt a hotness sensation all over her body and she started shaking. As soon as this encounter took place, she was at peace within her and she knew she was healed. With a joyful heart, she advised the congregation and viewers to go close to God for their healing. He is the solution to all fundamental issues of life. Mr Charles Addoquanye, experienced difficulty in walking which affected his waist down to his legs. Merely lifting a heavy object at work, his back became stiff and he experienced difficulty in standing erect. Mr Charles spent a lot of money on hospital bills as he visited the best hospitals in Germany but none could provide a solution to his problem. A lumbar corset and knee braces were recommended for him to use as a support. Due to his unbearable condition, he lost his job as he could no longer carry out his daily activities. He had to depend on his family for virtually everything. After staying at home for 9 years, a friend of his introduced him to Emmanuel TV and he became an ardent viewer, confessing to himself, “This is my last bus stop”. Arriving at The SCOAN with great faith, he received prayer from the Prophet T.B. Joshua, in Jesus’ name and the pain of many years left him. 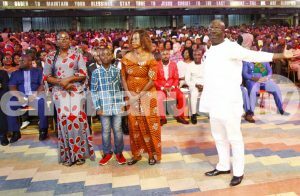 He joyfully demonstrated his healing to the congregation and viewers all over the world by walking majestically, jumping, twisting and doing those things that seemed impossible in the past. He concluded by advising everyone to put their trust in God, the Mighty Healer. Mrs Precious Okoronkwo had made up her mind to divorce her husband but decided to seek the face of God before going ahead with her divorce plans. As the man of God, Prophet T.B. 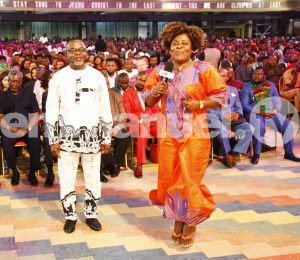 Joshua ministered prophecy to the congregation, he walked up to her and prophesied to her concerning a problem that had plagued her life for long – “Constant bleeding”. After ministering a word of prophecy to her, she received the touch of Jesus and was delivered. Surprisingly, not only was she delivered from constant bleeding, her marriage was also restored. 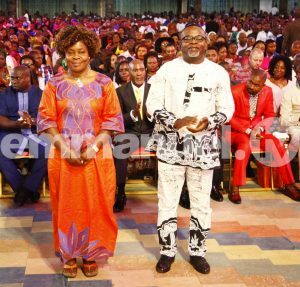 As she testified with her husband in The SCOAN, she announced to the congregation that the divorce process that was initially initiated was called off. 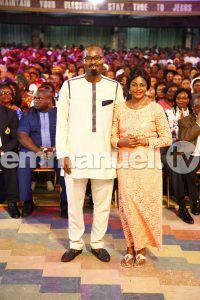 To add to the miracle upon their marriage, the door of favour was opened to her and she was offered two job opportunities. Her husband, Mr James Okoronkwo appreciated God for his timely intervention and peace upon his marriage, giving glory to God.